: Cost of Get In Shape For Women Franchise? How Much Does It Cost to Own a Get In Shape For Women's Franchise? Owning a Get In Shape For Women health & fitness franchise can be a lucrative business, but it does have some initial financial requirements. To open a single fitness centers location, the company requires that potential franchisees have liquid assets of at least $100,000. The franchisee startup costs associated with owning a Get In Shape For Women health & fitness franchise are similar to those of TITLE Boxing ClubThe Zoo Health ClubFitness 1440. Get In Shape For Women falls under the 'health & fitness', 'high capital', 'multi unit and area developer' and 'women's' franchise categories. Across these multiple categories, it is further subcategorized under 'gym' and 'weight loss'. See how the investment level of Get In Shape For Women's compares to those of other available health & fitness related franchises. Does owning a Get In Shape For Women health & fitness franchise sound like the correct business venture for you? Add this franchise to your cart and request free additional information about this business from the company, itself. These are the locations, inside the United States, where Get In Shape For Women is looking to expand its health & fitness franchise. Get In Shape For Women is currently accepting inquiries from the following states: MA. 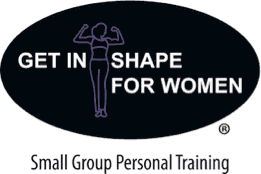 Get In Shape For Women is a small group, (HIIT), personal training program with the purpose of Empowering Women Through Body Transformation. At Get In Shape For Women there are no intimidating crowds or waiting for equipment, all GISFW workouts are delivered by appointment in a private, upscale boutique fitness studio. A highly skilled personal trainer works with up to 4 women at a time, for 30 or 60 minute sessions delivering our unique 4 component system that is scientifically proven to work Weight Training, Cardio, Nutrition, and Accountability. Join us on this meaningful journey, where your clients become family, and every pound lost is a life impacted. Click here to get in contact with Get In Shape For Women and request free additional franchise information. Incorporated Name Get in Shape Franchise, Inc.